Running an efficient workplace is determined by the equipment that you use these days. A lot can by said about the big leaps forwards, such as cloud computing or the ongoing smartphone revolution, but it’s still the basic hardware that makes the most difference. When you’re running a network of devices, for example, you need to be sure that the connector you’re using is of industrial standard, and that it’s going to be able to handle the regular wear and tear of working life. A quick search on the internet will show you that connectors can be somewhat bamboozling. Here’s a shortened overview focusing on Ethernet industrial connectors to give you an idea of what’s on offer. Hopefully you’ll see that it’s not so worrying after all. Is Your Connector Up to the Job? Where these connectors do differ is their resilience. In industrial processes, such as monitoring heavy equipment in a lab, you need to know that the connectors you’re using will withstand not only the highest workload, but also that they’re resilient against outside factors. With the Conec RJ45 IP67 for example, the connector boasts greater stability, and protection against moisture. This might not sound like much, but in a fast-moving work environment the reassurance that the connector will run in harsh conditions can be a great boost. Likewise the Conec RJ45 with magnetic jack is a simple idea, but one which can safeguard your system from unexpected disaster. By insulating the connection magnetically it ensures that the line is protected from electromagnetic interference – EI – meaning you can rest assured that a complex network with high EI potential won’t lead to regular pauses in productivity. Harting Industrial RJ45 connectors put forward the same principles: the idea that you have to be able to protect the connection from moisture, EI, and the other harsh conditions that wouldn’t be expected in a home environment. They also emphasise that their family of connectors are designed to be easy to use as well as resilient, because many changes to a network have to be done on-site. So types of Ethernet connectors don’t vary dramatically. They’re all of the same eight point connector family, and work in the same way. But with an industrial connector you should be able to count on extra strength and reliability, even in tough conditions. 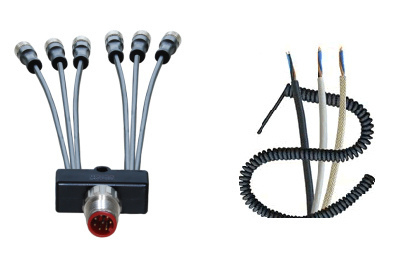 This post was written by Neale Dickins – an industrial connectors specialist from the UK. Nike – Better in what World?